Berliner Wein Trophy has just published its special awards which name Félix Solís Avantis group as “Best Spanish Winery 2018”. This is the 9th time the company has received this award and is a recognition of the quality of the wines entered into the Berliner Wein Trophy. 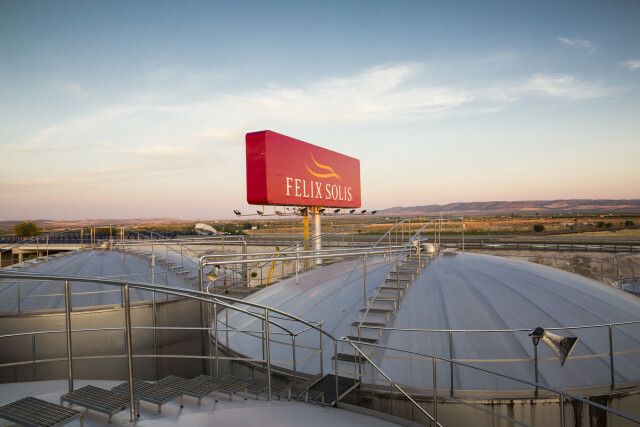 Félix Solís Avantis, has a presence in seven of the main wine producing regions of Spain with the Félix Solís brands in La Mancha and Valdepeñas and Pagos del Rey in the appellations in northern Spain; Ribera del Duero, Rueda, Rioja and Toro and Rías Baixas. The award was revealed following the announcement last week of the awards received at the Berliner Wein Trophy: 7 gold and 1 silver. Among the wines awarded a gold medal is Viña Albali Gran Reserva Selección Privada 2011 DO Valdepeñas produced by Felix Solis and Condado de Oriza Gran Reserva 2011 produced by Pagos del Rey DO Ribera del Duero. Berliner Wein Trophy is sponsored by the International Wine and Vineyard Organization and has become one of the most important international wine tastings in the world. The medals awarded by Berliner Wein Trophy constitute a valuable guiding function when it comes to deciding about which wine to buy. In line with this recognition, Félix Solís Avantis has held sixth place in the Top 100 best wineries in the world since last year, now the largest winery in Spain in this ranking with 25 million boxes of 9 liters sold in 2017. The presentation of these awards coincides with the ProWein Fair in Dusseldorf (Germany) next weekend, where Félix Solís Avantis participates every year. The stand located in Hall 10 will showcase new products created to meet new market trends and including organic wines, dealcoholized wines and sparkling wines.